Library programming for children can entertain, educate and engage young people and their families in your community! There are various types of library programming for children. From jugglers and magicians to book groups and Makerspaces, many libraries embrace programming as a way to foster learning, reading, and creativity. When library resources are in short supply, however, it can take creative approaches to offer programming that does not require a lot of money or staff time. One type of programming that can be viable is passive programming. Passive programming is a term you sometimes hear used to refer to activities which do not require staff direction, such as a simple craft, coloring pages, games or puzzles left on a table in the children’s room. For practical purposes, this might be an activity to keep kids busy while their parents are on the computer or finding books. It can encourage positive activity after a child has finished his homework and is waiting to be picked up.It might also mean having something for a parent and child to do together at the library. Passive programming is very low cost, as it involves just a few games or toys and some simple craft supplies. On busy days, you could even assign a teen volunteer to monitor the passive program area – refilling craft supplies, assisting younger children with scissors, and cleaning up regularly to make sure game pieces don’t get lost. Contests: Have a contest related to a display. For example, if you are displaying photos of famous Hispanic-Americans for Cinco de Mayo, allow children to enter guesses as they try to identify the famous person for a prize. This could inspire them to do some research to identify the person in a photo! Character of the Week: Create a simple book display highlighting a favorite children’s book character. Make some arts and crafts (bookmarks, masks, paper bag puppets, mazes, etc.) related to that character available, too. You can often find activities on an author or publisher’s website. The books will circulate and children will enjoy the crafts. Origami: Display some of the popular Origami Yoda books by Tom Angleberger and include some related origami instructions and paper. 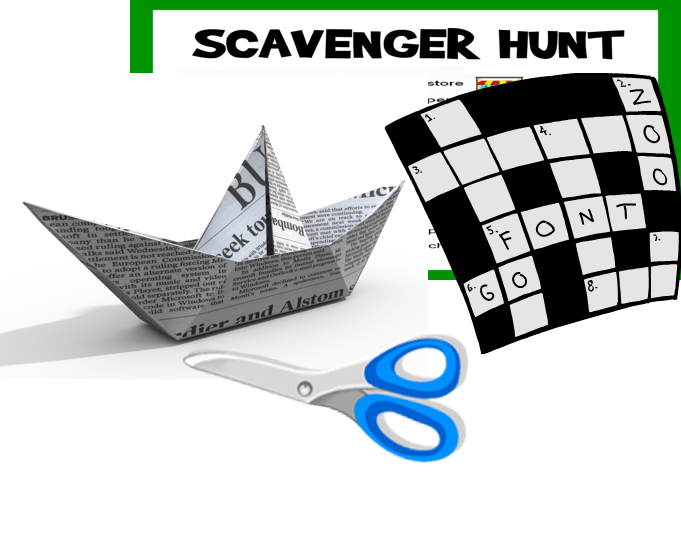 Scavenger Hunt: Make handouts with scavenger hunt clues that focus on different areas of the library. For example, “Name a magazine from the children’s area,” or “Name the Dewey Decimal number for folktales.” Once a child has filled in all the answers, he or she can bring it to the librarian’s desk for a prize (like a bookmark or stickers). Plus, they have completed a self-directed library tour! Interested in more great ideas for Children’s Programming on a Budget? Registration for a new course taught by Penny Peck is now open at: https://infopeople.org/civicrm/event/info?reset=1&id=446.